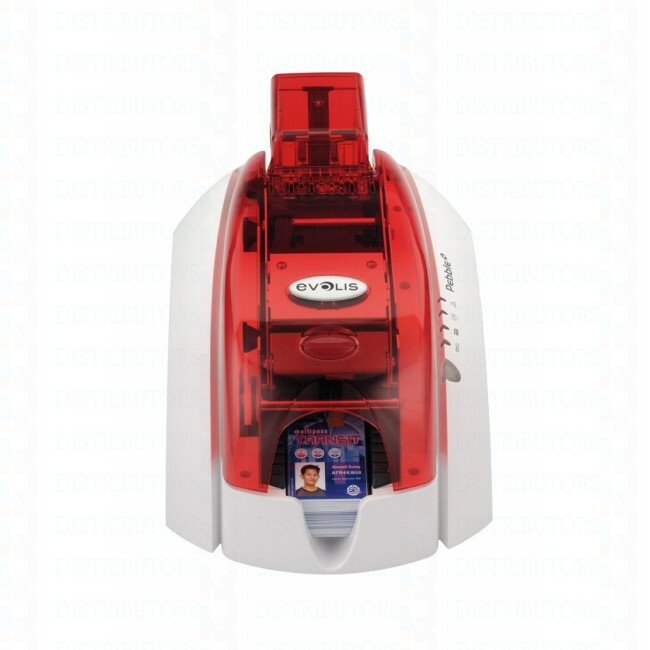 "Powerful, easy-to-use and cost effective, the Pebble color printer personalizes and encodes all your plastic cards: identification, security, loyalty and leisure badges. The Pebble prints your high resolution texts, logos, pictures, signatures and barcodes in a few seconds. It also offers optional magnetic encoding, smart card encoding and contactless card personalization. Powerful and reliable, the Pebble is designed to answer all needs, from small card series to printing in volume.The Pebble is a turnkey solution. 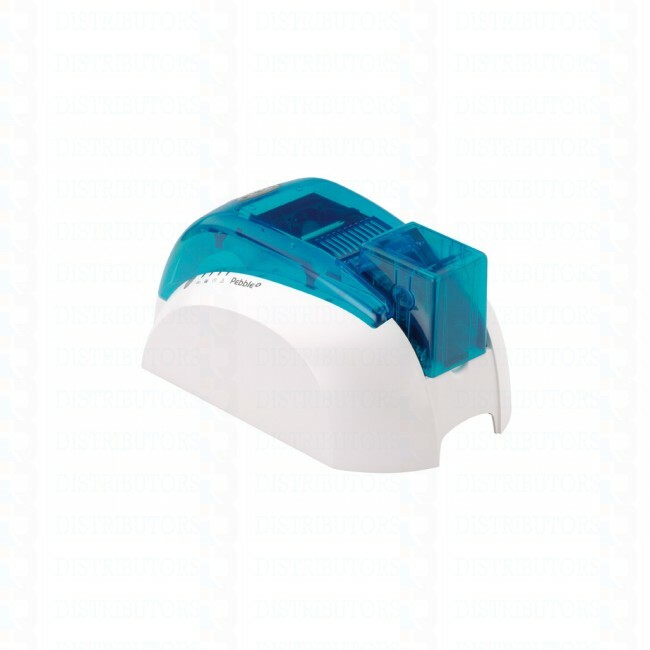 Delivered as standard with user-friendly software for badge personalization and drivers for Windows™ or Mac OS X, it is as easy-to-use as a classical office printer. The Pebble comes in three colors: Lagoon, Ruby and Glacier. Its Hi-Tech design, compactness and ergonomics allow it to integrate any reception or office desk. With an excellent quality/price ratio, the Pebble is the referent single-sided color printer on the market. "